On Saturday May 26th, Bar Monkey will be hosting Ireland's National Calisthenics Event, with top level Athletes from all over the country coming to compete in our Adult and Junior Calisthenics Competitions ( All athletes are pre-registered ). This event is a fun day out for families to attend if they are interested in Calisthenics or want to learn more about it. It is an opportunity to witness feats of strength and endurance, and pick up some tips and techniques from some truly amazing athletes. Calisthenics is a sport that involves using only your bodyweight to perform movements and routines on equipment such as pull up bars, parallel bars and the floor. It requires incredible strength, body control and co-ordination. For the spectator it is a truly jaw-dropping sport. 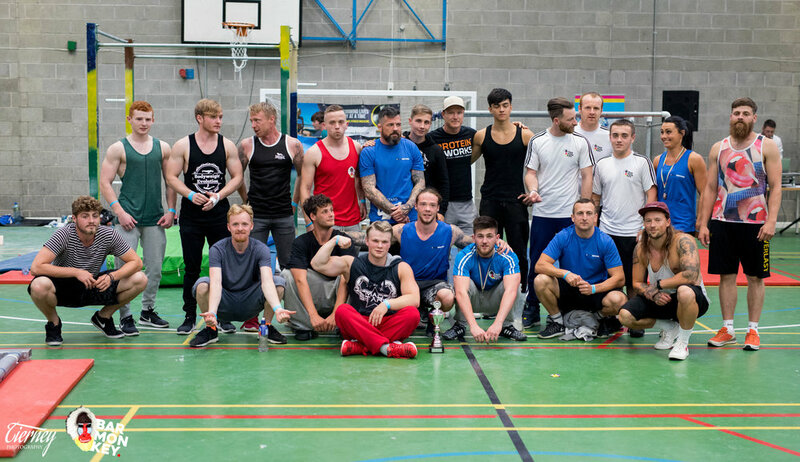 The first Bar Monkey Festival took place in 2016 and due to the popularity and growth of the sport, it has continued each year and has become recognised as the leading calisthenics event in Ireland. The first event featured over 16 competitive athletes from across the country, and had over 160 attendees. Our second event in 2017 saw the addition of a Junior Competition (under and over 10 years of age), as well as hosting the Adult National Event. These competitions as well as demonstrations on the day saw over 240 people attending. We are delighted for our 2018 festival to welcome for the first time to an Irish festival some current World Calisthenics Champions. They are, the Female Street Workout World Champion Melanie Driessen, the Calisthenics World Cup Champion Sotoxine, the French National Champion Colin Dojat, as well as Starboy from Team BarSparta, who placed second in the Calisthenics World Cup. This promises to be another fantastic event, and we expect some truly amazing displays from our junior competitors, as well as our adult athletes. About Bar Monkey Calisthenics: Bar Monkey is a club that specialises in calisthenics, body movement and strength programmes, primarily for school going children from aged 4 upwards (although there is an adult programme). We are based in Ballybrack, County Dublin. Calisthenics comprises of physical movement, strength and exercises that rely solely on body weight for resistance. It has elements of practicality and versatility for everyone, facilitating strength and dynamics for athletes, yet also very accessible to children and non athletes for proprioceptive development. At our junior classes children build a range of motor and coordination skills, which helps in developing a good sense of body awareness and movement. It improves a child's physical activity, and encourages them to stay fit and healthy. At Bar Monkey children have fun, meet new friends, and learn social skills such as listening, following directions, taking turns, and respecting others. The junior club has over two hundred members and we work with Primary and Secondary schools all across the Dun-Laoghaire Rathdown area. The club is the only recognised Calisthenics Club in Ireland through dlr Sports Partnership.